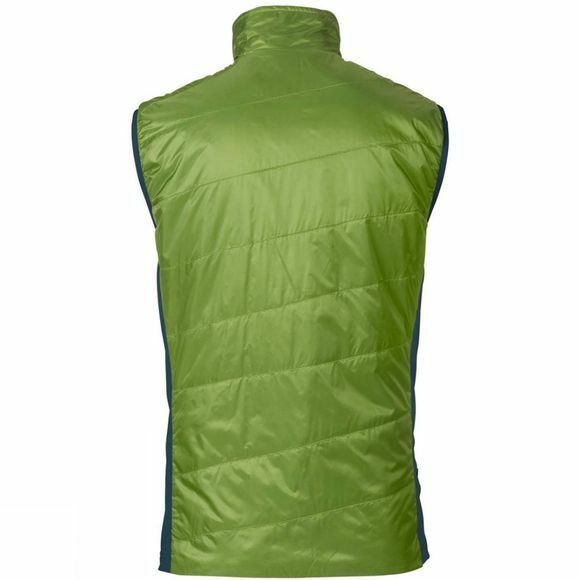 Superlight insulation: with PrimaLoft Silver Insulation Eco, this thermal vest has stretch inserts for freedom of movement. 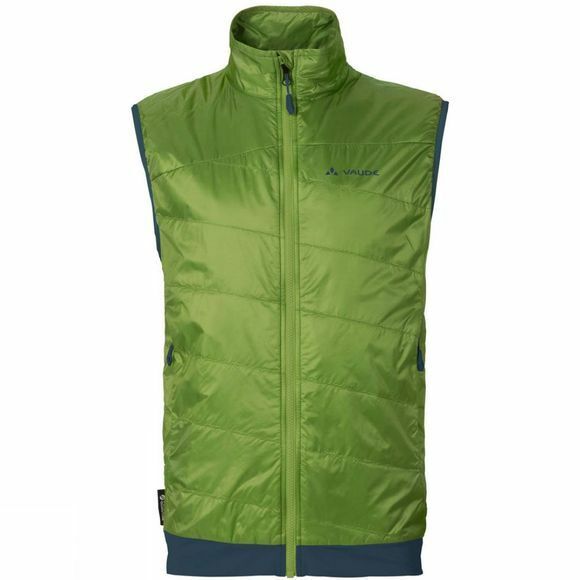 The contoured vest has a very small pack size and will always find a space in your pack on mountain tours. The quality Pertex Quantum outer material scores with its low weight and high abrasion resistance. This insulation jacket is great in combination with rain and wind jackets. The stretch material is made from recycled nylon in an upcycling process of textile materials, for example, from used fishing nets. The bluesign Standard guarantees eco-friendly manufacturing. This product is made with Eco Finish, an eco-friendly water-repellent finish without fluorocarbons (PFC). Green Shape is your Vaude guarantee for eco-friendly products – made from sustainable materials and resource-conserving production.